What is Ossining Bucks – you ask? 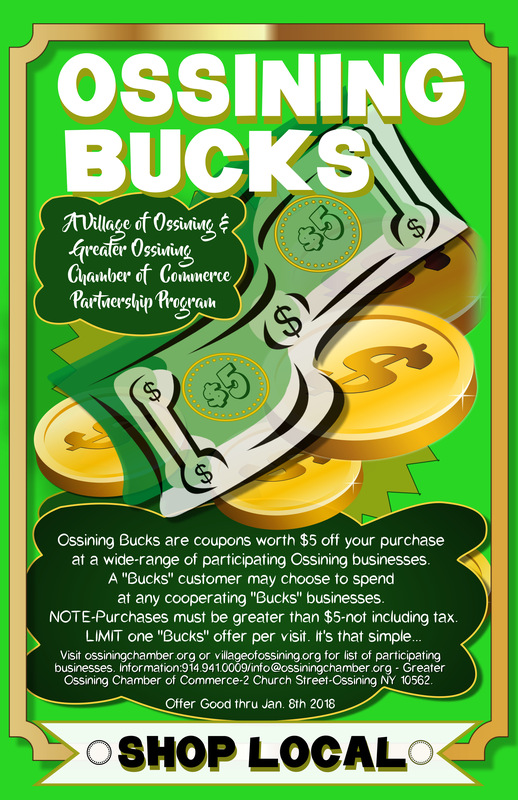 Ossining Bucks are coupons worth $5 off your purchase at a wide-range of participating Ossining businesses. 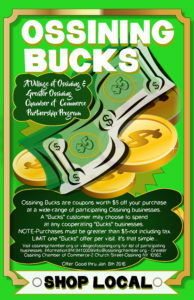 A “Bucks” customer may choose to spend at any cooperating “Bucks” business. A list of participating businesses will be posted on the “Ossining Bucks” page in a few days. Where do you get Bucks in Ossining – you ask?